Cape Breton Tourism Spotlight: Come to Richmond County, N.S. For a Tourism Season Filled With Amazing Events & Festivals, You Will Not Be Disappointed!!!! Come to Richmond County, N.S. For a Tourism Season Filled With Amazing Events & Festivals, You Will Not Be Disappointed!!!! Hi everyone, you will want to mark these important festivals and events on your calendar. You will not want to miss any of these spectacular festivals and events which are scheduled to take place this summer. And remember that the Music Camp on the Canal starts this weekend with an amazing All Star Concert scheduled for Saturday evening, so get your tickets for that before they are all gone. 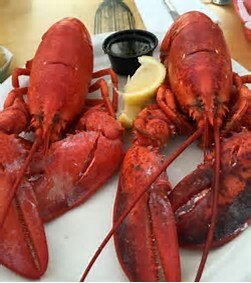 Lobters R’ Us Seaside Lobsterfest, July 9-16, serving up everything seafood. Annual Pow Wow, July 21-23, authentic Mi’kmaq culture. July 27-30, L’Ardoise Acadian Festival celebrates our Acadian culture. August 4-6, Experience the pageantry of the Tall Ships Regatta. August 6, Swim the Canal provides that once in a lifetime experience. Swim the historic St. Peter’s Canal (800 mtr) right into the open Atlantic Ocean. September 15-17, Pirate Days explores the lighter side of our darker past. Pirate themed like no other. Hunt for treasure. A haven for the pirate in us all. North America’s only living Celtic culture. KitchenRackets jam sessions after the evening concerts. The Concerts by the Sea rotate weekly between LeNoir Landing in Arichat and the St. Peter’s Lions Marina in St. Peter’s during July and August, these are the free outdoor concerts. There are also the Sunday Concerts in Port Hawkesbury at the Granville Green, these are also free outdoor concerts, and held during July and August. July 1st Canada 150 Birthday Celebrations, celebrated in most of the communities around Richmond. The Strawberry Festival on July 9th at the St. Georges Community Hall in St. Georges Channel. July 09 – The Strawberry Festival in Johnstown. July 9-16 Lobster R’ Us Seaside Lobsterfest in St. Peter’s, with lots of events taking place for the whole family. July 14-16 Rocky Bay Irish Festival in Rocky Bay. July 15th Célébrations de la fête nationale de l’Acadie will take place at La Picasse, in Petit de Grat. The Point Michaud Surf Classis has always brought a lot of interest to our surfing community and usually takes place the second to last weekend in August. September 8-10 Cape Breton Paddlefest in Arichat. September 15-17 St. Peter’s Pirate Days in St. Peter’s.